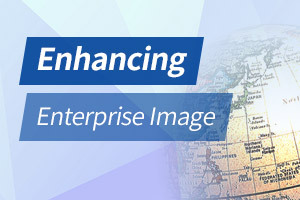 The International Code Council's Code Development Hearings continue in Baltimore this week. A number of code change proposals for the International Energy Conservation Code (IECC) resulted in changes likely to impact the commercial glass industry. 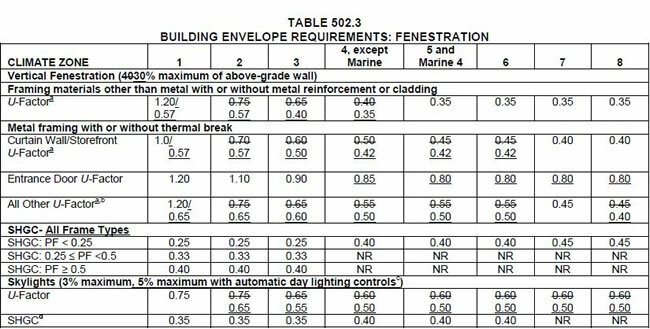 A proposal from NBI and AIA (EC165) also was approved that decreased fenestration U-factors in several areas (see EC165 chart). All other proposals to reformat the fenestration U-factor table and remove the distinction between metal and nonmetal windows were disapproved (EC162, EC163, EC164, EC168 and EC175). According to Dr. Thomas Culp of Birch Point Consulting LLC, “Much of the debate focused on the difference in structural requirements between windows going into low-rise buildings, light commercial applications and medium or high-rise heavy commercial applications. In the end, the committee decided to retain the current format.” All proposals to change solar heat gain coefficients (SHGC) or impose minimum visible transmittance (VT) were defeated. (EC169, EC166 and EC180). The only change ICC agreed upon regarding SHGC was a reformatting of the shading credit for overhangs (EC174). Otherwise, maximum SHGC remains the same, at 0.25 in zones 1-3, 0.40 in zones 4-6 and 0.45 in zones 7-8.